Being the largest online auction site, eBay has hundreds of tractors for sale at any one time. Whatever you are looking for, the chances are you can find it on eBay – and if you can’t find exactly what you are looking for right now, then something will come up in the near future. It isn’t all plain sailing buying a tractor from viewing a few photos on the web and relying on the vendor’s description. You must be careful, follow a few basic rules, and then hopefully you should pick up a bargain. The majority of people selling on ebay (particularly items like tractors) are good friendly honest people and will go out of their way to complete a smooth transaction. However, there are always those who will exploit, so there are a few things to watch. Probalby the thing to look out for when buying a tractor is the “distance” of the tractor away from the camera. 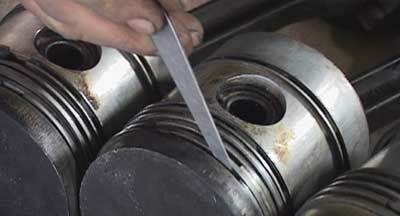 Look for good close-up photos so you can see the condition of the body work and paint. Long-range camera shots can be a sneaky way of not showing a less than average condition. If the only photos are of long distance shots of the tractor then it isn’t necessarily bad, it may well be just that the tractor seller isn’t the best photographer in the world. Click on the feedback number of the seller. This brings up all the items the seller has sold recently and shows the feedback left by the buyer of these items. You can tell a lot from this info. Is the seller a tractor dealer or just selling one machine? Is all the feedback good? Don’t be afraid to ask the vendor a question. For example if you are buying a Dexta (notoriously bad steering boxes) and the seller hasn’t mentioned the condition of the steering box, then ask what condition the box is in. The seller will reply and then you have his/her reply in writing. If you are the highest bidder and the reserve has been met at the end of the auction then you are the new owner of the tractor. 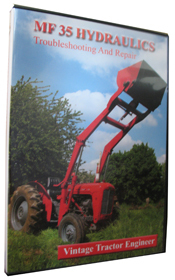 If it is an old tractor for restoration that you’ve paid a few hundred pounds for then you can buy the tractor without viewing it as you haven’t a lot to loose. If however, the tractor is going to cost a considerable amount of money then it may be sensible to view the tractor before the auction ends. Most buyers of large ticket items will take cash on collection. It is the safest way to make sure you do not loose your cash. One good thing about buying a tractor is that you will usually be buying from the same country as you reside. This reduces the chances of some crook from Nigeria (appologies if you’re from Nigeria!) taking your hard earned cash. If you are careful and follow a few basic rules then there are lots of bargains and choice to be had on ebay. Lots of old tractors ripe for restoration that people don’t know where to sell other than on eBay. There are often some less common models up for grabs such as industrial, narrow versions or something a bit different. 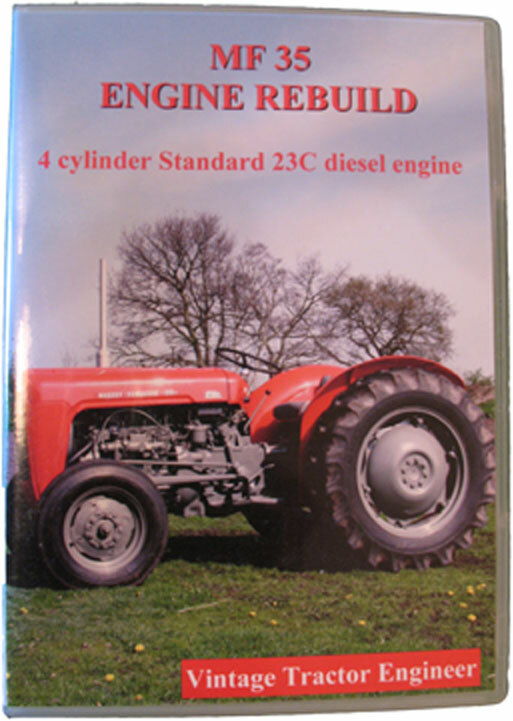 Vintage Tractor Engineer has been very sucessfull at buying tractors from eBay. You can be too. All good tips but it’s always wisest to buy a tractor you’ve tried first. I bought my first tractor on e-bay a few months ago. a David Brown 995 for £771. Straight off the farm. Needed a few bits and pieces doing but it was put straight to work at the speedway track. Has been a real bargain.